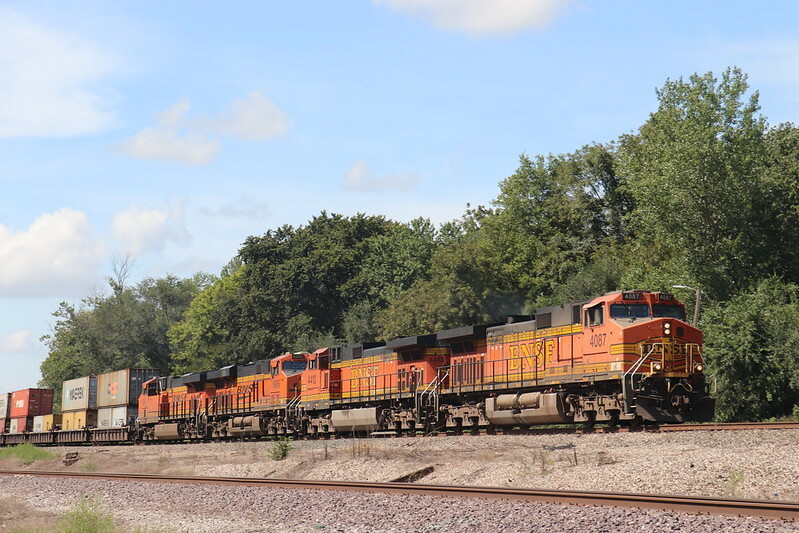 Usually, Labor Day weekend means that I’m out doing something train related. 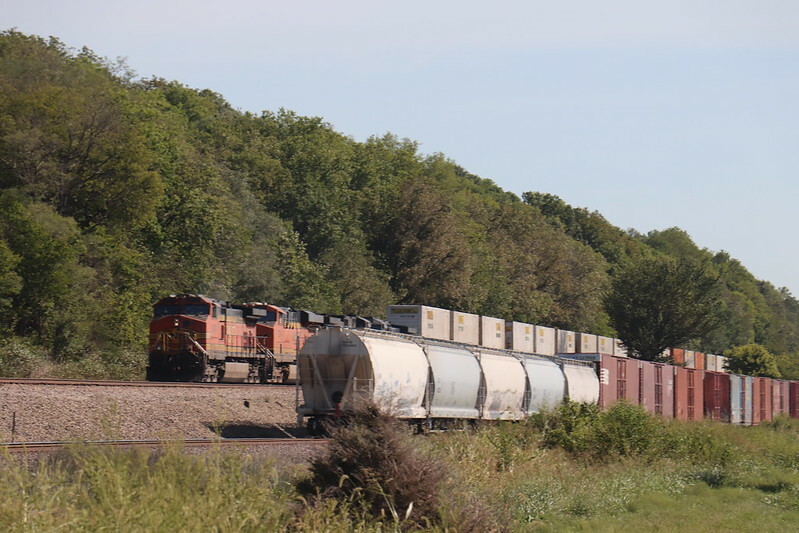 I decided this year to head out to Camden, Missouri on the Marcelline Sub. 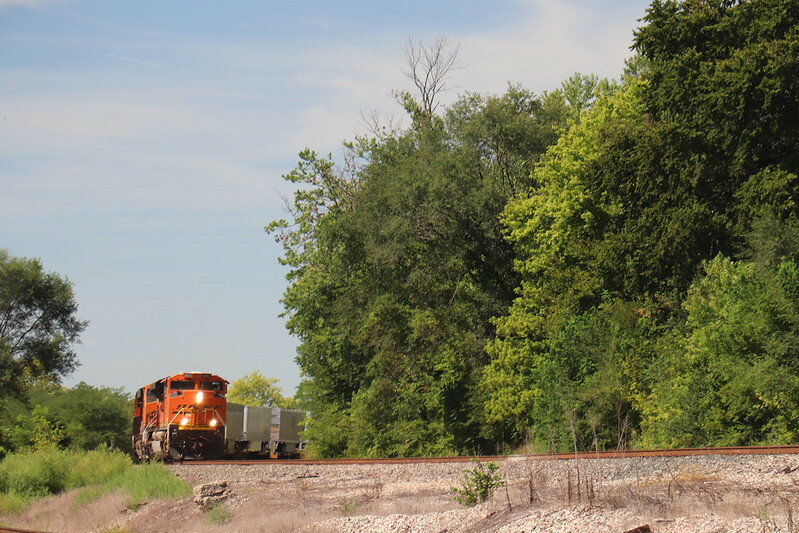 I arrived a little before 10:00 and found that I wasn’t alone – there was another car, and two railfans wearing day-glo orange vests already there waiting on the (late, as is the norm) Amtrak 4. It didn’t take long for the action to kick up. 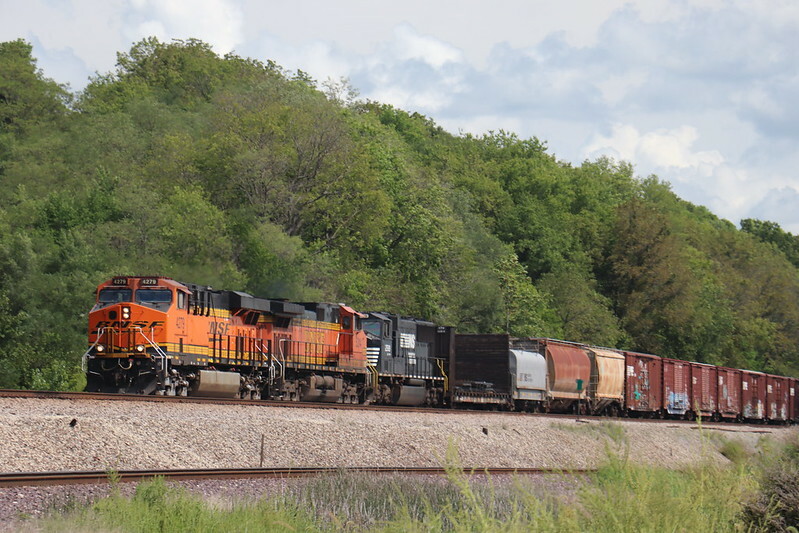 Another C4, BNSF 7104, along with Dash-9 4399, bring up the markers on the westbound at 1004. 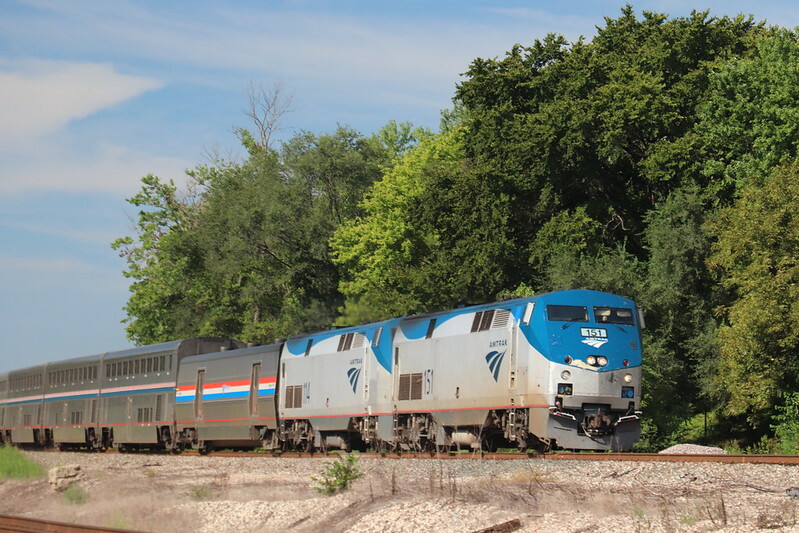 Amtrak 4 arrives at 1012, led by P42s 151 and 114. 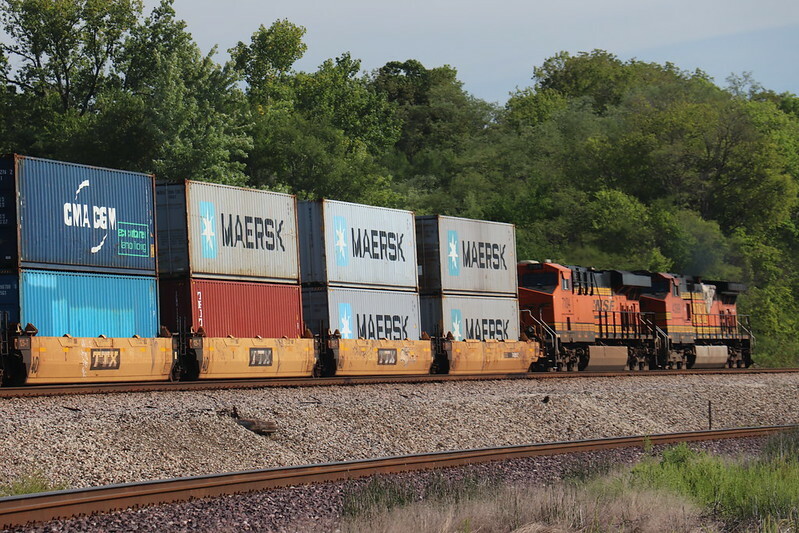 At 1018, another westbound snuck up on main 1 and came to a stop short of the crossing. 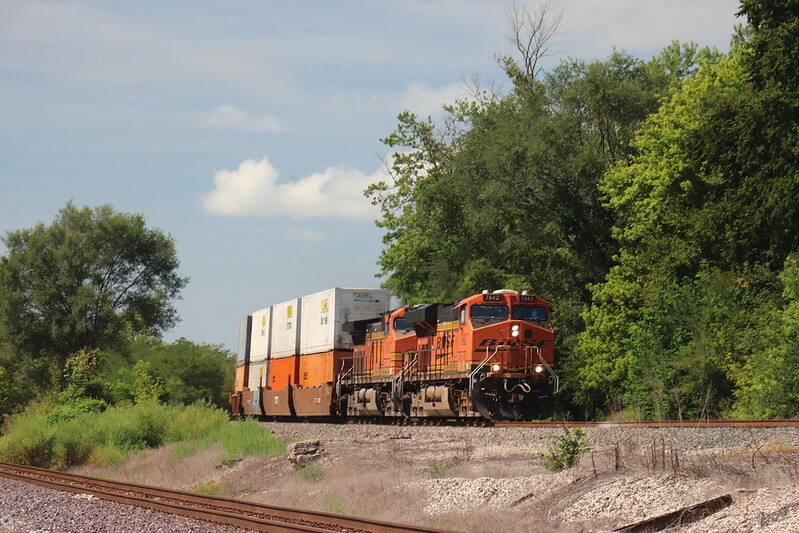 We heard the horns of an oncoming eastbound. 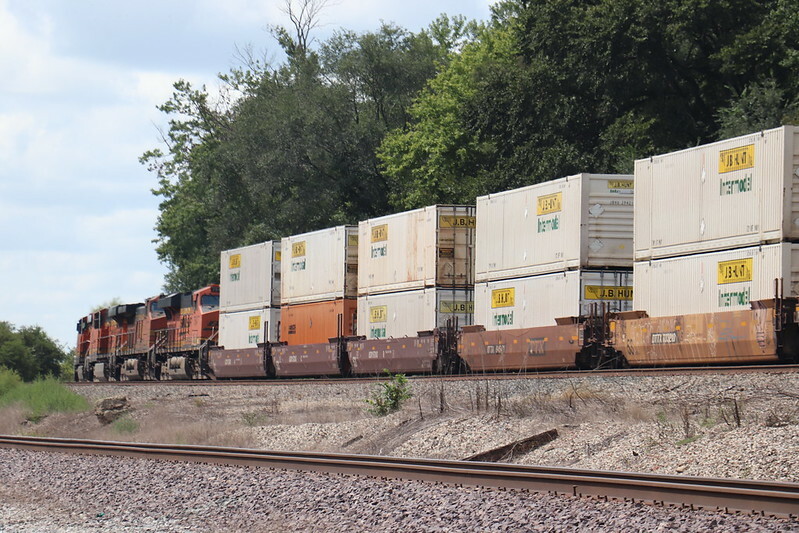 One of the other railfans predicted that it would be on Main 3 (the NS/Wabash Main). 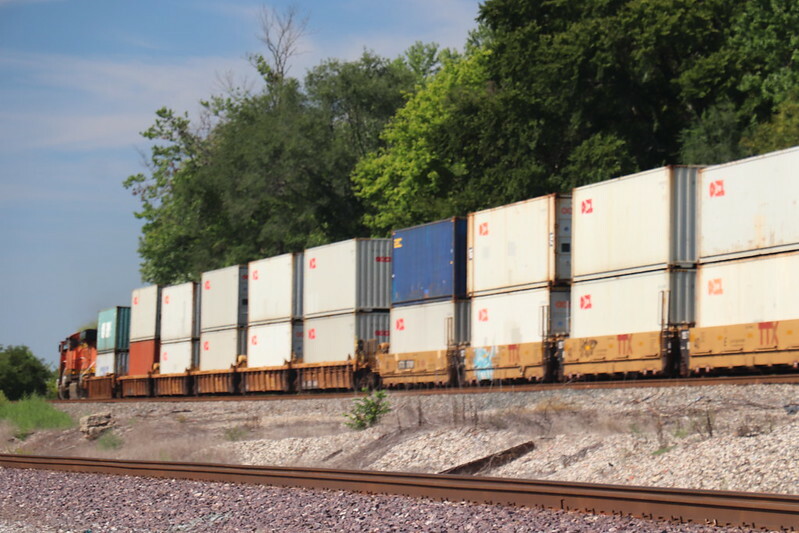 Sure enough, it was an eastbound NS freight on 3 that tripped the crossing gates at 1025. 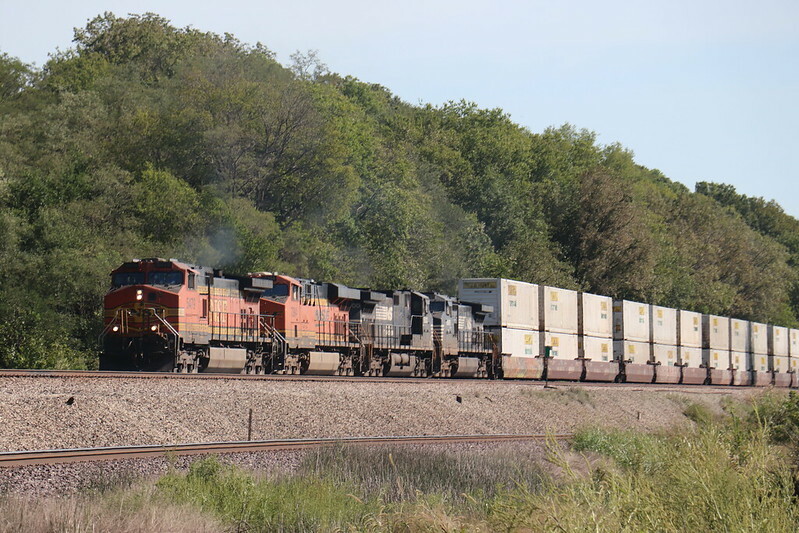 The charges on this eastbound were NS Dash 9 9823 and a former BN SD60M turned hired gun CBFX 6027. 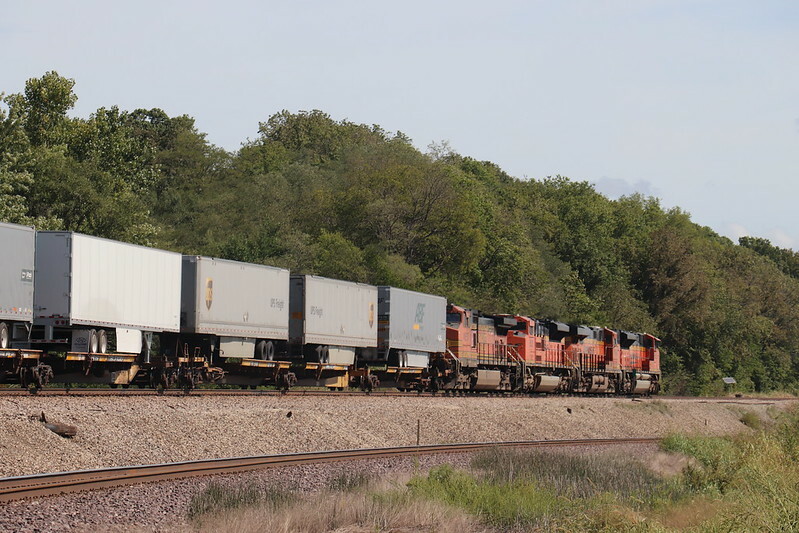 The tail end of the NS eastbound rolls by the westbound still waiting on Main 1 at 1027. 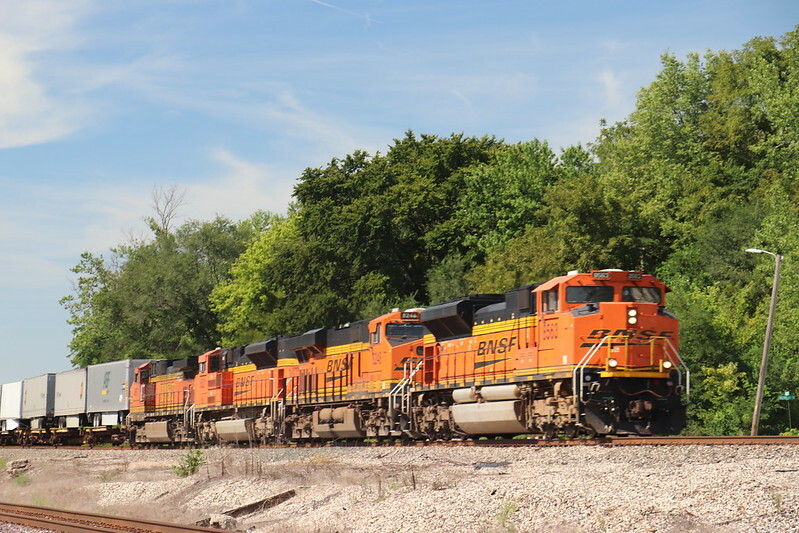 You can certainly see the separation, along with the lower elevation of the NS/Wabash line compared to the BNSF/Santa Fe iron. 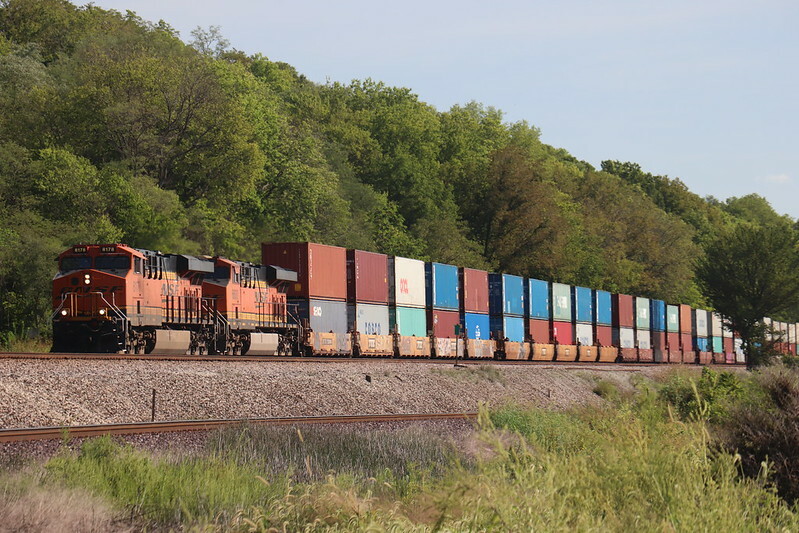 The westbound intermodal finally moves west again at 1029. 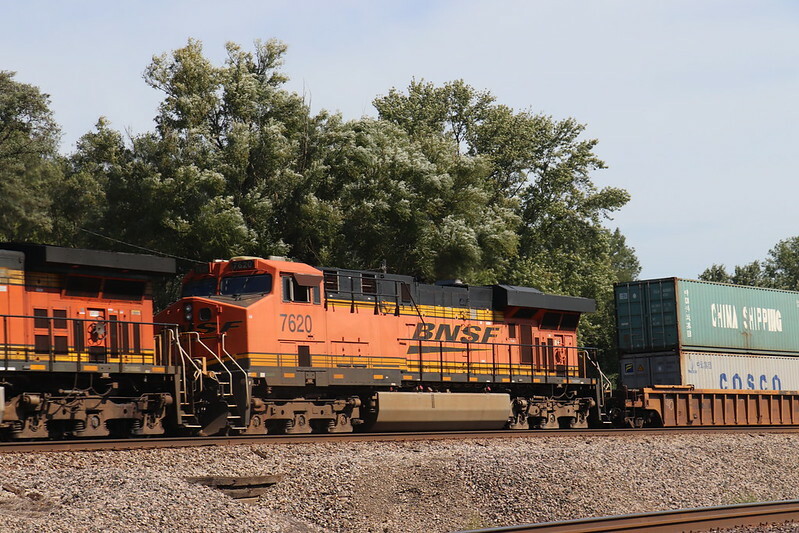 Power consists of two BNSF units and two from NS: BNSF 5479 and 7394; NS 9500 and 9869. 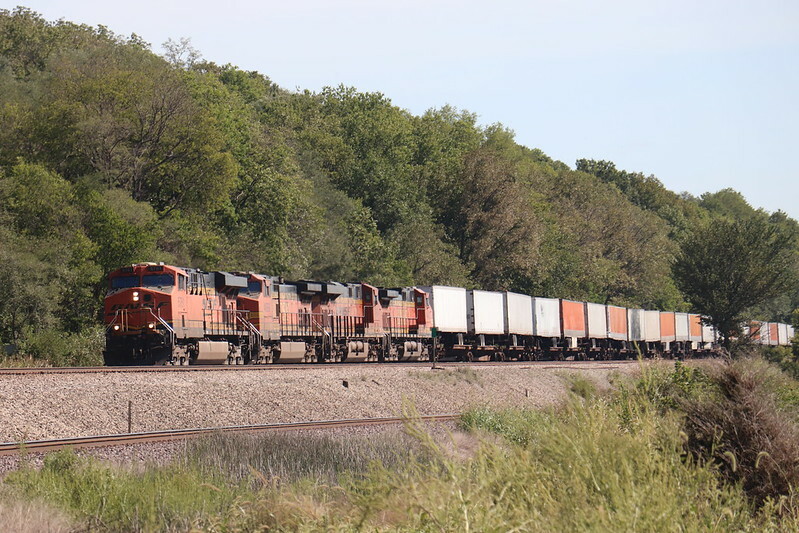 …my thoughts were interrupted by a westbound “Z” at 1044 with BNSF GEs 5761, 4699, 7974, and 4452 on point. 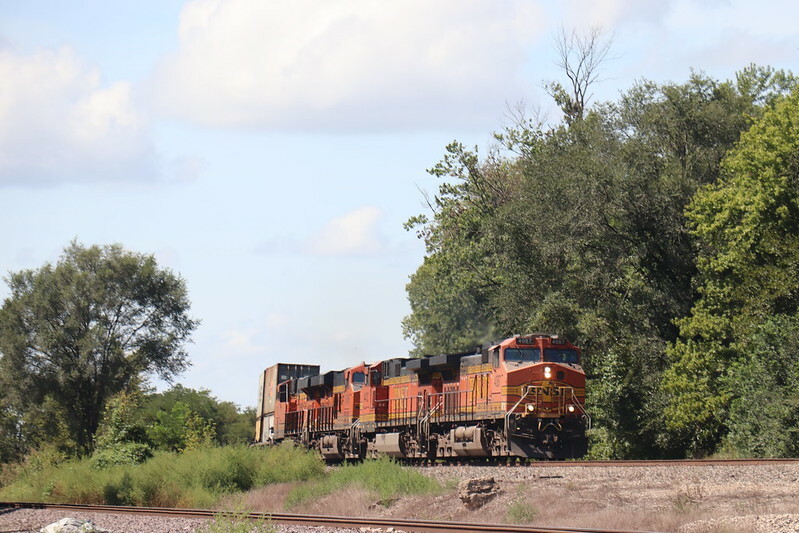 Coming ‘round on Main 2… It’s gotta be an eastbound “Z” at 1121 led by an ACe. 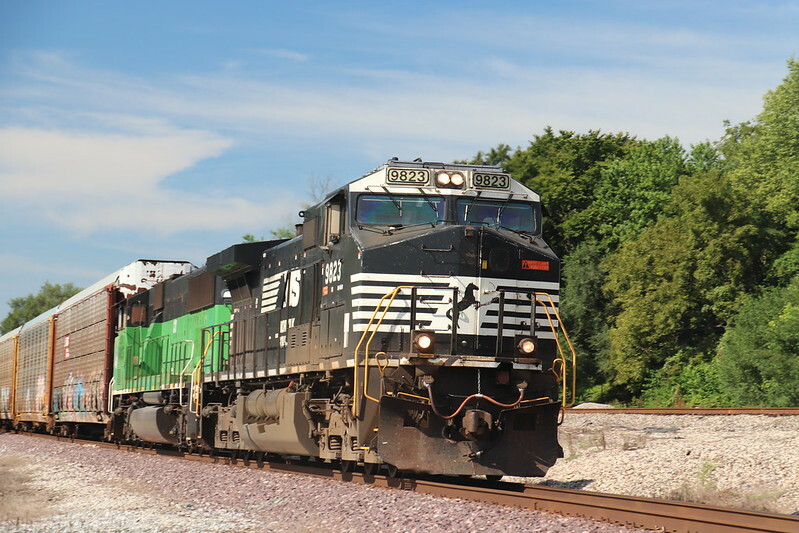 The eastbound consist contains not 1, but 2 EMDs. 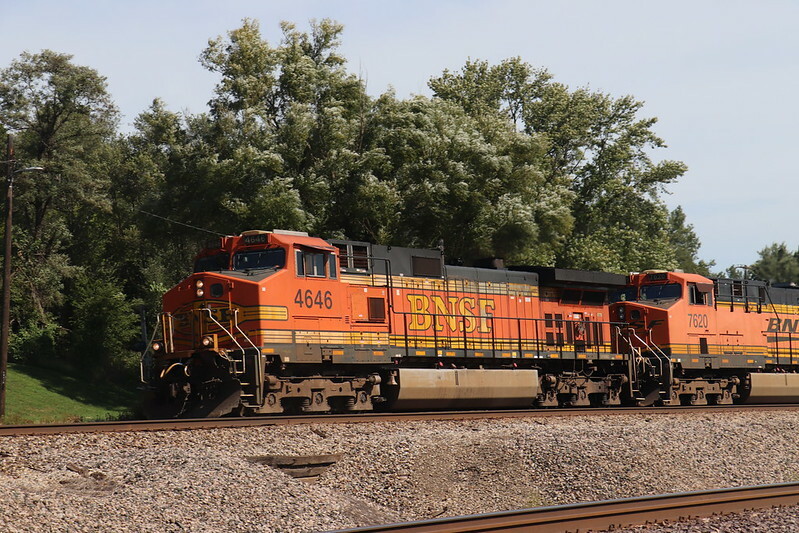 BNSF ES44C4 8248 is sandwiched between SD70ACes 8563 and 8521, with C44-9W 4657 on the rear. Parting shot of the eastbound. 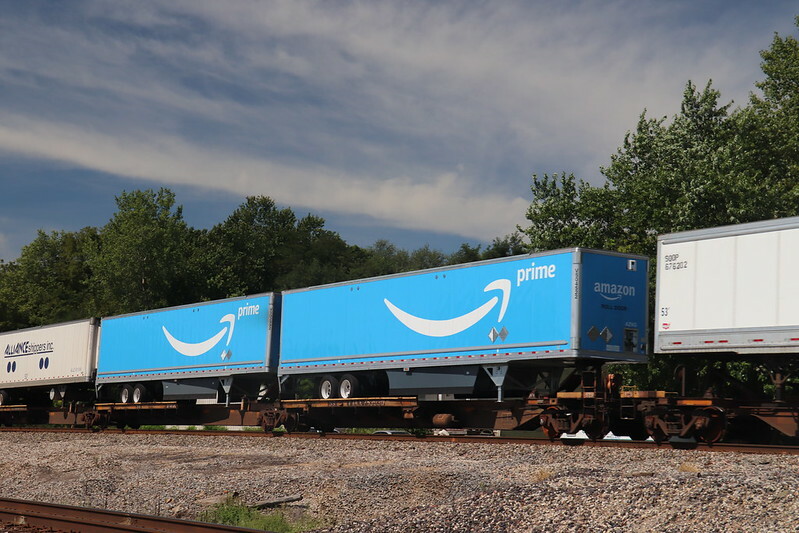 You know that thingamabob you ordered on Amazon? 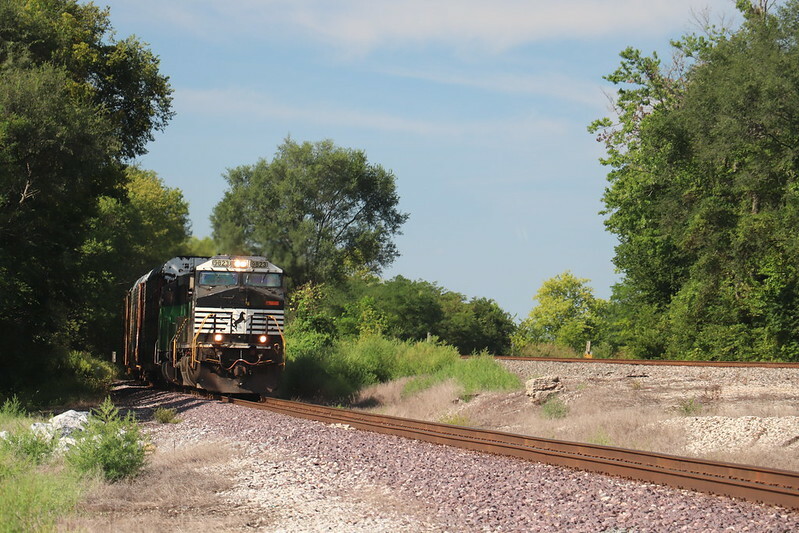 It just might have ridden a “Z” train somewhere along its journey. 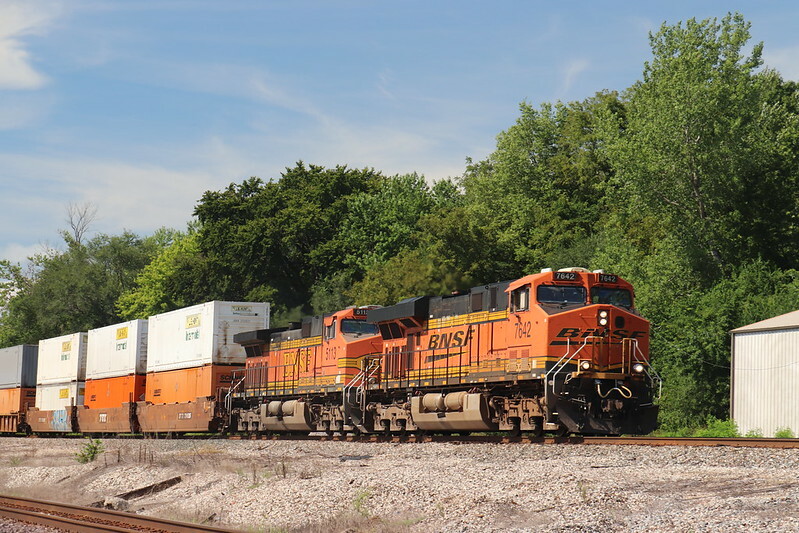 Eastbound intermodal number 2 at 1137 with BNSF 7642 and 5113 on point. 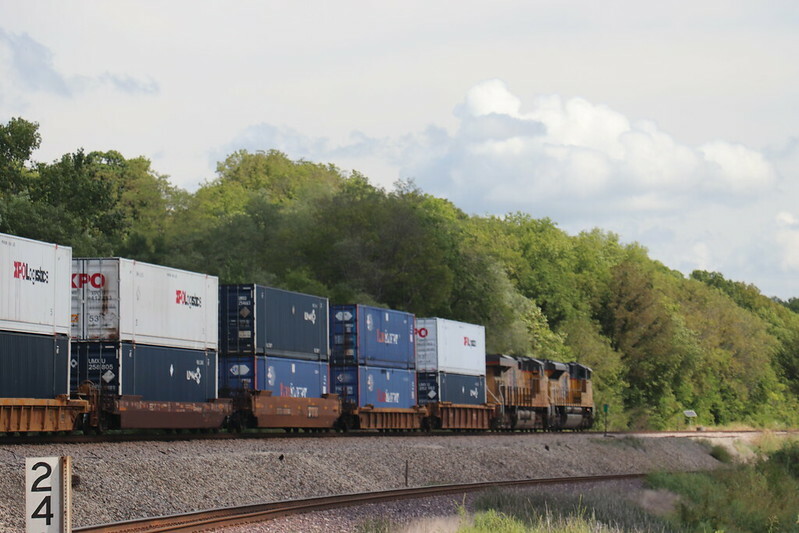 Eastbound intermodal number 3 at 1156 with four toasters: 4087, 4413, 6956, and 8091. 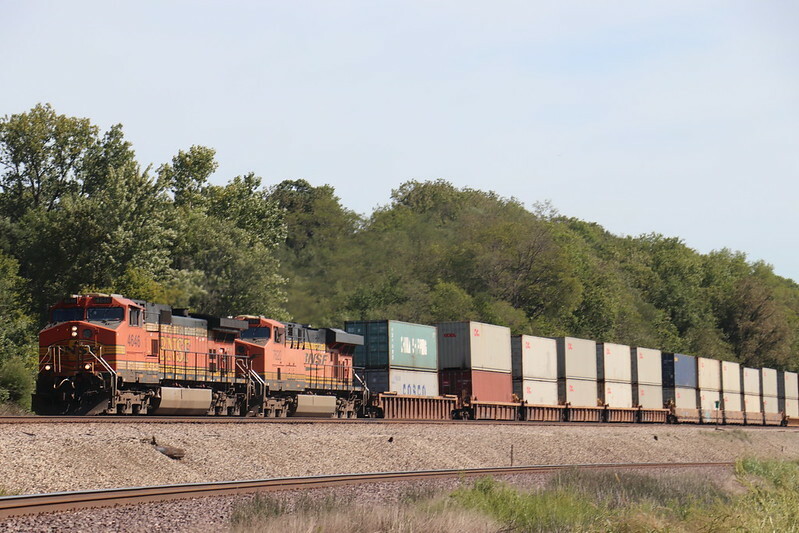 The fourth eastbound at 1207 is an appearance by Uncle Pete. 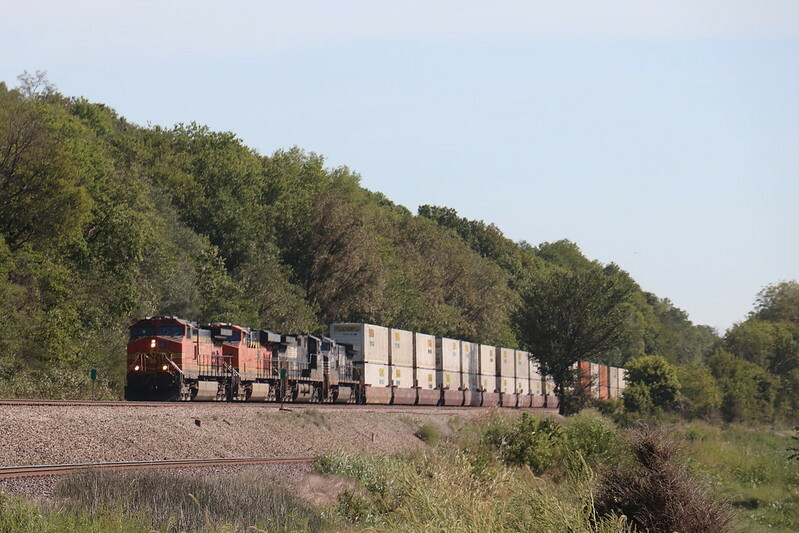 Union Pacific SD70ACe 8991 and ES44AC 2554 are in charge. 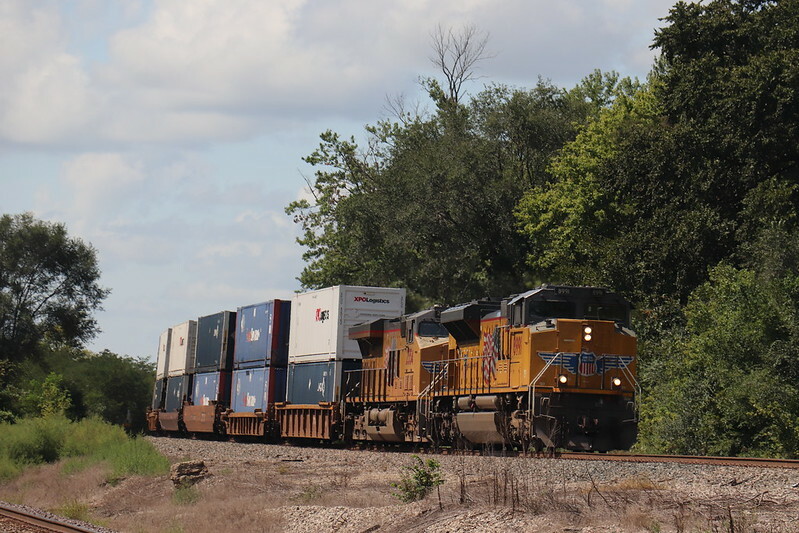 Away shot of the eastbound UP train. 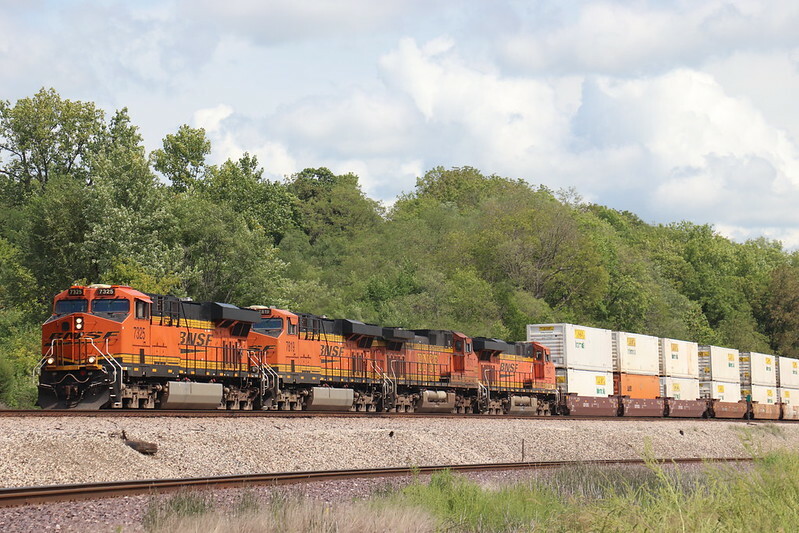 After a parade of four eastbound intermodal trains, it was time for a west man to cleanse the palette at 1214. 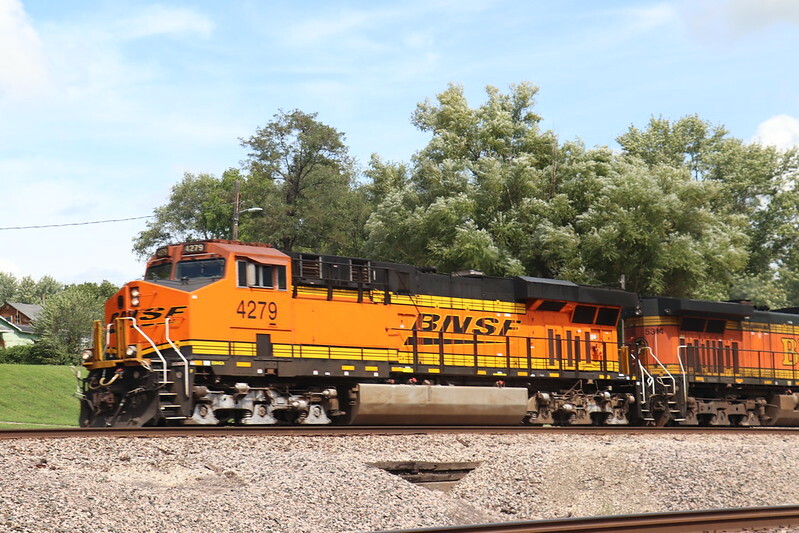 Closeup of lead BNSF ES44C4 4279. 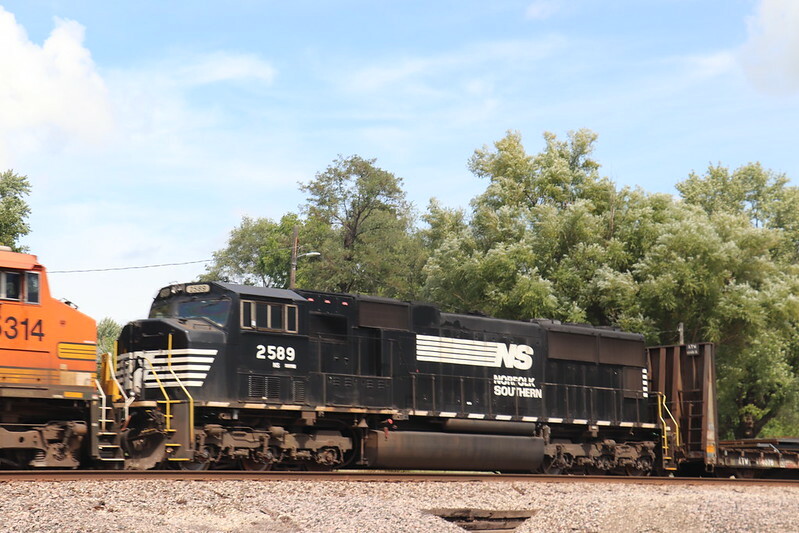 Norfolk Southern SD70M 2589 trails the two BNSF units on the west man. 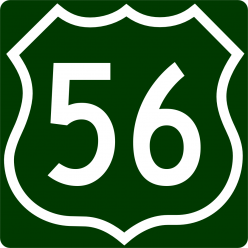 Engines are 7325, 7819, 5173, and 7547. Grand Total: 13 trains in 2 1/2 hours. Surprisingly, no Tier 4’s showed up. All photos were taken on Sunday, September 2, 2018.